In the animal world, urine is the great communicator. It not only warns prey of the presence of a predator, but also communicates territorial boundaries to members of like species. Dogs react instinctively to the scent of canine urine and this is how you can use CoyotePee or FoxPee to help you direct dogs to the areas of your yard that you designate as "dog restrooms." Both males and females will be drawn to areas scented by CoyotePee and FoxPee (our version of dog urine attractant products) and gradually make this their preferred spot. Our dog potty training spray allows you to keep the rest of the yard un-marked by unsightly stains and dead grass. Use CoyotePee for medium-sized breeds and FoxPee for small breeds and pups. Real fox urine is also great for training hunting packs, and above you'll find other animal scents for dog training. For easy lawn application, sprinkle on predator urine granules. Predator scents for dog potty training is a natural way to save your lawn. 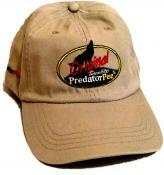 Buy predator urine online today at PredatorPee Store, and browse our dog training scents below! 12 ounce bottle of 100% Pure PredatorPee® Fox Urine combined with a 10 pack of our weather proof 33 Day Dispensers at a great price! Hang the dispensers every 10-12 ft using the included twist ties and ground stakes. Fill with about an ounce of “pee” to create a long-lasting “pee-rimeter” that is protected from wind and rain - Big Savings when you buy multiples! 12 ounce bottle of 100% Pure PredatorPee® Fox Urine combined with a 10 pack of our Scent Tags at a great price. Place the Scent Tags every 10-12 ft using the included twist ties and ground stakes. Saturate with “pee” to create a long-lasting “pee-rimeter” - Big Savings when you buy multiples! PredatorPee® 100% Pure Fox Urine - 12 ounce squeeze bottle - Big Savings when you buy multiples! 16 ounce trigger spay bottle of 100% Pure PredatorPee® Fox Urine combined with a 10 pack of our weather proof 33 Day Dispensers at a great price! Hang the dispensers every 10-12 ft using the included twist ties and ground stakes. Fill with about an ounce of “pee” to create a long-lasting “pee-rimeter” that is protected from wind and rain - Big Savings when you buy multiples! 16 ounce trigger spray bottle of 100% Pure PredatorPee® Fox Urine combined with a 10 pack of our Scent Tags at a great price. Place the Scent Tags every 10-12 ft using the included twist ties and ground stakes. Saturate with “pee” to create a long-lasting “pee-rimeter” - Big Savings when you buy multiples! 100% Pure PredatorPee® Fox Urine - 16 ounces in an adjustable trigger spray bottle - Big Savings when you buy multiples!